Whiplash Injury Clinics specializes in injury related conditions. Our talented team of doctors incorporates the best of medical, physical therapy, chiropractic and massage therapy allowing for the most comprehensive treatment options available. There is not one method that’s best and no one method is effective for every patient. In fact, research has shown that incorporating more than one method of treatment is the most effective, fastest way to recovery. Therefore, at WIC every method of treatment is available to you in one location. Just as important, any additional treatments and diagnostic testing are offered as well. Whether you are interested in incorporating all of our services or you are interested in one facet of our care, WIC is the ideal place to treat your pain. Accidents happen all the time, and far too often people don’t seek the proper treatment following a car accident because they don’t feel hurt. The most common injury occurred in a car accident is whiplash. Whiplash is caused by a sudden movement of the head, backward, forward, or sideways. That action is what results in the damage to the supporting muscles, ligaments and other connective soft tissue. For the past 28 years Dr. Stuart Schlein and his staff at Whiplash Injury Clinics have been dedicated to treating patients suffering from the symptoms of an automobile accident. Our specialists are experienced in the treatment of any type of auto accident as well as the ability to refer you to an expert attorney. Whiplash Injury Clinics offer a variety of chiropractic services designed to aid in recovery from neck pain, back pain, shoulder pain, or any other soreness associated with the effects of whiplash. 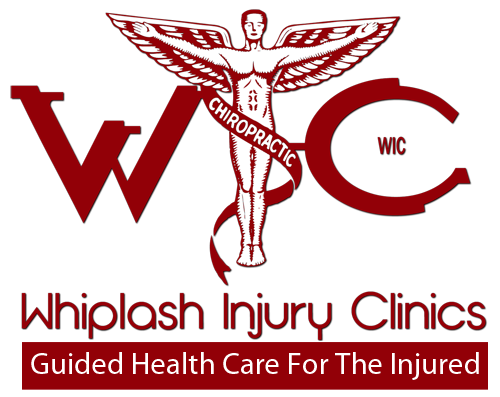 Combining skill and expertise that spans the entire chiropractic wellness spectrum, Dr. Schlein and the doctors of Whiplash Injury Clinics are experienced in diagnosing the source of any discomfort and developing a comprehensive treatment plan. Whiplash Injury Clinics thoroughly manages the rehabilitation process of our patients as our suggested team of auto accident lawyers prepare your personal injury case to insure you a MAXIMUM settlement! You have probably seen numerous advertisements in print, on the radio and television urging you to hire a personal injury attorney as early as possible after a motor vehicle accident. Now that you have been involved in a car accident, motorcycle crash or truck collision, you may think that this is exactly what you should do. In fact, delay in seeking treatment is a commonly cited reason for denying a claim for coverage. The better course of action is to come to Whiplash Injury Clinics as your first step so that our team of doctors and chiropractors can evaluate your injury and begin documenting the case. By seeking our help at the outset of the case, you can not only send a clear message that your physical recovery is your top priority, but you can also help your accident attorney by assembling ample medical evidence of the full scope and nature of your injury. You can contact us right now for a doctor from our team can meet with you to discuss your accident and the symptoms you are experiencing. Qualifying patients will receive an examination to get an accurate diagnosis of your injury. We are eager to begin helping you. We can even provide same-day appointments. So you have been injured in an accident-do you know what to do next? Depending on the circumstances of the accident, you may or may not be entitled to claim an insurance settlement that could pay for all the treatment you need to make a full recovery. Do you know what steps to take to file your claim? Do you know how to maximize the chances that your claim will be approved for coverage? Before you do anything else, contact us at Whiplash Injury Clinics for a consultation. A doctor from our Atlanta chiropractic team can examine you to evaluate your condition.